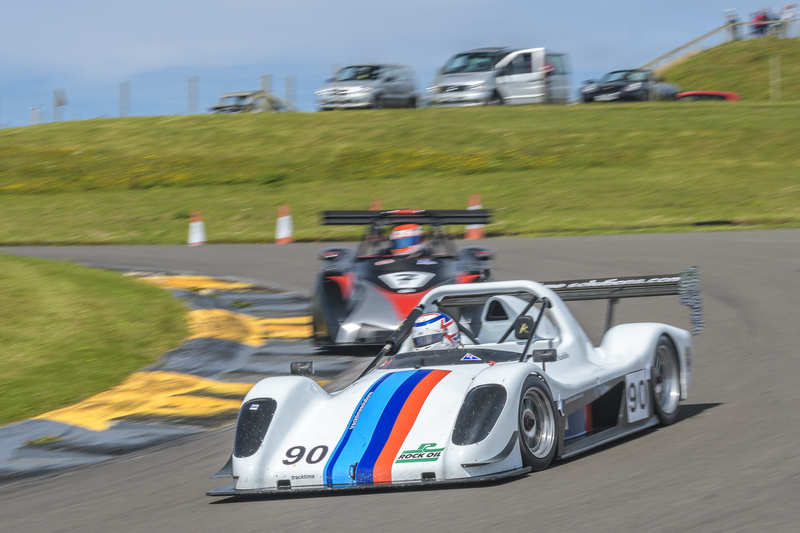 Following an exciting season that saw Phil Knibb take the 2016 Bikesports Championship title in a Radical SR3, 750 Motor Club has developed new regulations for 2017 that will continue to cement the formula's place in club motorsport as the number one championship for bike-engined sports-racing cars. In the new 2017 structure, Class A is for cars powered by 'tuned' versions of the ubiquitous Suzuki Hayabusa engine and features separate minimum weight limits for cars up to 1500cc or those up to 1340cc. The limits have been carefully devised to ensure that competition between popular Radical SR3 and PR6 models - plus Spire Sportscars' 2015 winning GT3 - becomes closer than ever before. As per the Club's ethos, regulations stipulate the degree of permitted tuning to ensure that Bikesports continues to be the most cost effective sports-racing formula in the UK. Class B caters for all cars powered by 'standard' RPE-specification Hayabusa engines, and consequently it is the ideal home for cars built to Radical UK Championship specification; allowing drivers to fight for both victories and the overall title without having to undertake any modifications. Finally, Class C caters for smaller capacity cars with engines of 1100cc or below. As well as providing a viable grid for older Radical models such as Clubsports and Prosports, it also offers a suitable home for both standard and developed RGB cars. Reigning champion Phil Knibb will return to the formula to defend his title this season, and with the Kent-based driver being run under the eye of 2012 Bikesports champion James Breakell, he will be aiming to fend off not only 2016 returnees but also newcomers to the formula. With teams such as Puremotion Motorsport also offering Radical SR3 arrive & drive options, the 2017 season for the 750 Motor Club's fastest formula is sure to be one not to miss. Registration will open in the next week - keep an eye on the website here or follow the Bikesports Facebook page for immediate news.